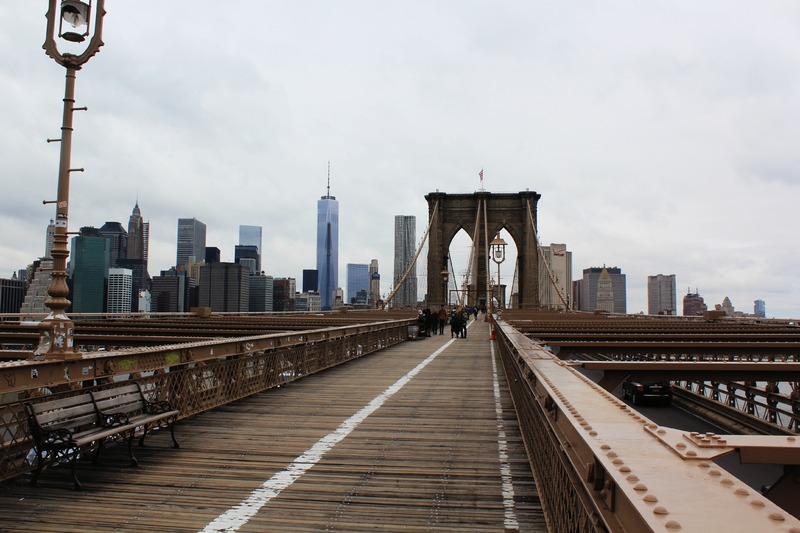 5 Must do’s in New York City. New York New York so good they named it twice. Now I’m no expert and I’ve only spent a grand total of 8 days in the place. This is completely based on my experience and opinion. 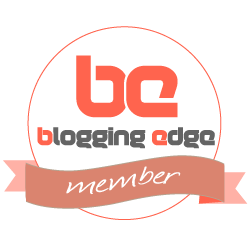 So if you do happen to be going for a week or so, here’s my ‘expert’ list of musts with some helpful other tips to follow. 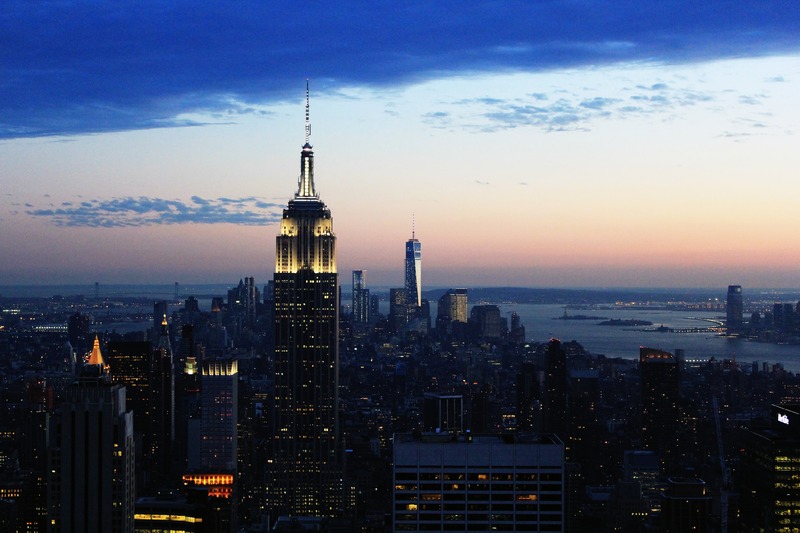 5 Musts in the City that never sleeps. In New York, you can find yourself going to bed at 22:00, waking up at 08:00 and still feeling tired, so if you are there for a week or more I would recommend not rushing things. There’s plenty of time to fit everything in. Genuinely, my favourite experience in the City. The views are spectacular and the city looks fantastic. I’ve always had the philosophy that I’d rather look at something pretty than be in it. Hence why, Top of the Rock and not the Empire State Building makes my list. In Spring the queues are around 20 minutes and comes in around $5 cheaper than the Empire State Building. There’s no limit on how long you can stay at the top for , which is a plus as the views can draw you in for hours. Well, its gotta be done. Its pretty worth doing too. For starters, if you stay on Manhattan Island, you get to place a foot into Brooklyn, even if it just is to get a hot chocolate and walk back. Again, the views are pretty decent and attracts a lot of tourists. Warning. If you go in the winter months. wrap up. It gets pretty chilly up there!! Lots of exciting things to do in this place. 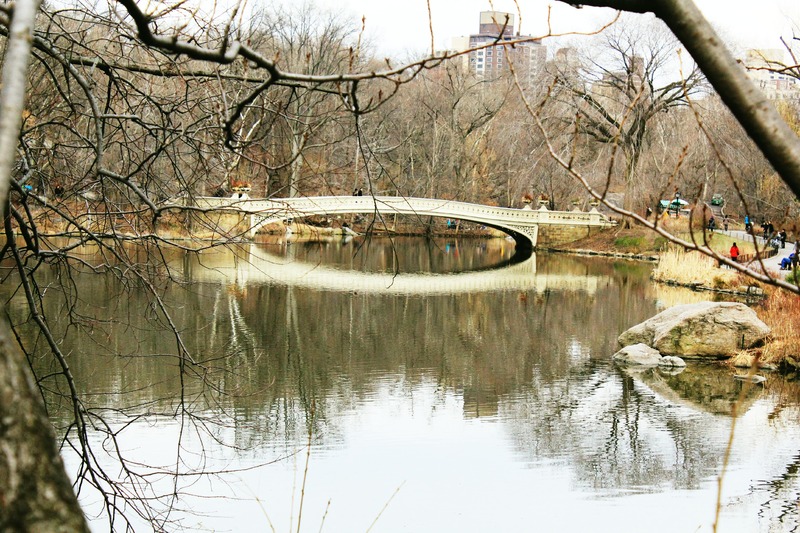 Even if its just for a stroll, it is pretty much one of the only green spaces in the city, so you might as well pay it a visit. Definitely lots of photo opportunities and modes of transport. If you do rent a bike- which I highly recommend. be aware that you’ll be cycling alongside cars and other traffic. It takes about an hour to cycle round the whole park at a fairly relaxed pace. For the more expensive and romantic option ( around $50), a horse driven carriage seems popular amongst tourists ,and generally you’ll get iconic bridges and statues pointed out. If you really want to see the middle of the park, then you’ll have to either go by horse carriage or walk. I’d also make a trip down to the boat house and to the Jackie Onassis Reservoir. Excellent photos. One of the most beautiful memorials. 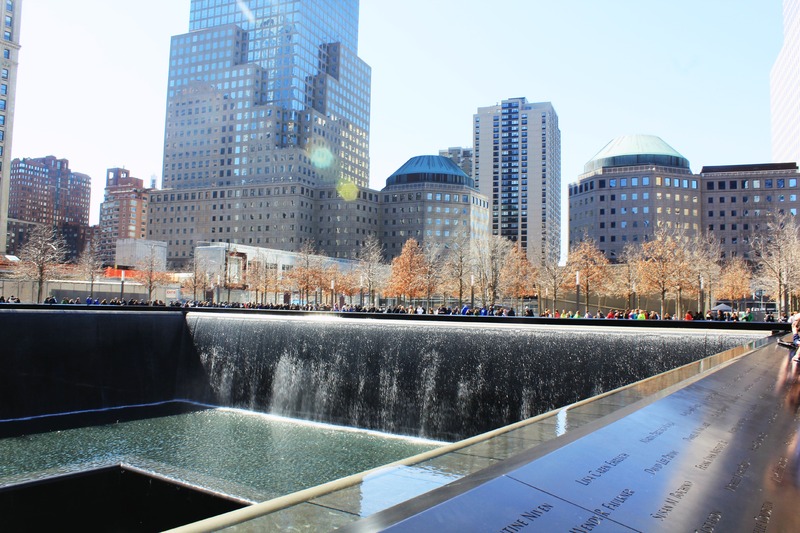 It seems so strange to think that in each of these waterfalls, a twin tower stood. On a sunny day, it literally is a fantastic, yet somber place. It also has the names of everyone who was in the towers at the time who sadly lost their lives. When it is a person’s birthday, a rose is placed by name as a mark of respect. I think that’s beautiful. Security is pretty tight here and it takes a while to get through. But really what do you expect. Must do. 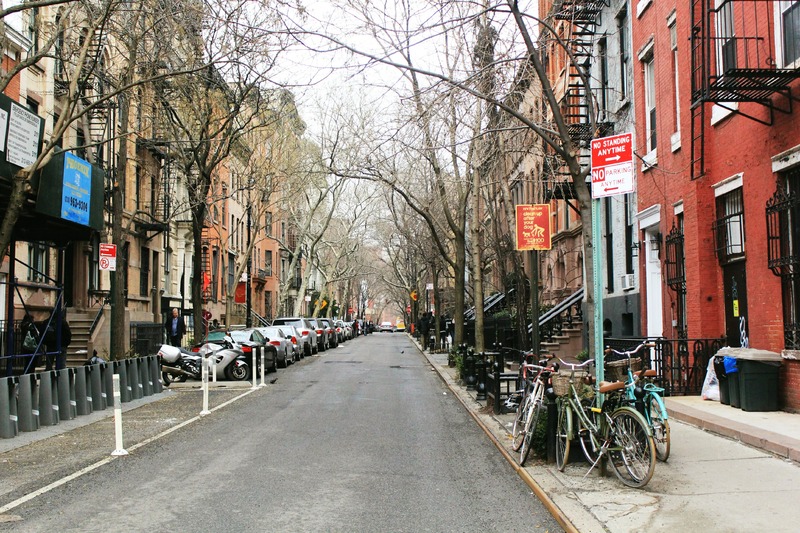 Okay, so whether you are fan of ‘Friends’ or not, Greenwich Village seems a world a way from the hustle and bustle of the skyscrapers and bright lights. Bleecker St. is a definite must, the shops are pretty expensive but also pretty nice to look in. If you do indeed want to take a stroll to the Friends apartment building then head to the corner between Bedford and Grove St. ‘Central Perk’ is actually a lovely restaurant called the ‘Little Owl’ which has been highly recommended by a friend. So give it a go. Also, if your’re after paying Carrie Bradshaw’s apartment building a visit then its literally just around the corner at 66 Perry St.
Times Square- Okay, so, you cant really go to NYC without giving this place a visit. Warning. It is a bit of a black hole for tourists and full of what seems people just wondering about in circles. Go at night. Its better and looks like it should. Take a camera though. Dont want to me missing out on that shot. Empire State Building– Okay, you probably should do it, just because it is what it is. As i mentioned above, Top of the rock is better, cheaper and has better views. On a week day in March it took an hour to get to the top and half an hour to get down. I’d do it once, but I wouldn’t bother again. Statue of Liberty- TIP- Don’t pay for the trip to Ellis Island, and definitely don’t go up it. You can’t see it from the inside ( DUHH) and its expensive. Take the FREE Staten Island Ferry there and back. Just as good views and its as I said. FREE. Bloomingdales & Macy’s – If you want the equivalent of a Selfridges experience then head to Bloomies. If you want to feel like your’e traipsing round Debehhams give Macy’s a shout! Grand Central Station– If you manage to say this, without singing it like Beyonce, then I commend you. Actually a pretty decent place to get some decent food whether it be for dinner or just a mid day snack. Sprinkles Bakery– Howdy, just in from Texas is this new bakery, opened in March. 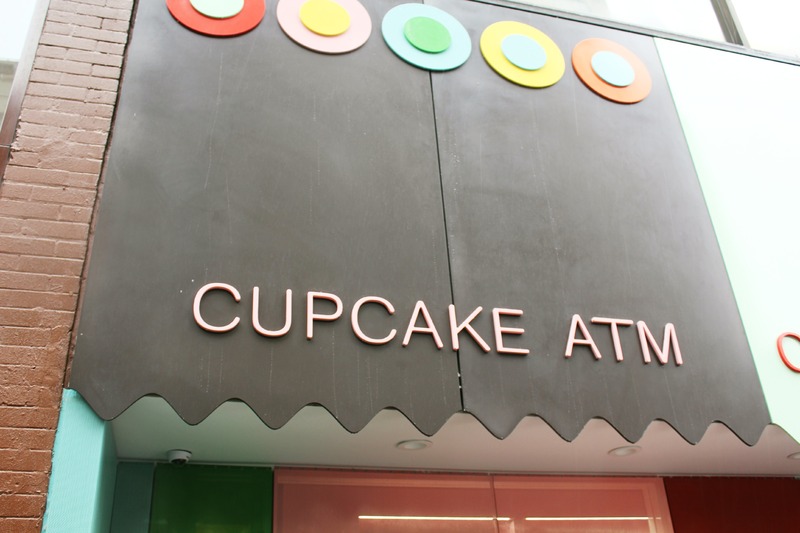 Oh wait, your’re too late, its shut for the day… No worry they have a cupcake ATM. Find it at Upper East Side, 780 Lexington, between 60-61 st.
Tipping- Annoying I know, but its how it works there. Generally service is excellent and it is expected to tip. If in doubt double the tax. thats normally 15% an acceptable amount to give. HOWEVER. Be careful, especially when you don’t have the right change. Sometimes they don’t bring you your change back. When in doubt always ask for your change, then leave you’re tip. A meal on a recent trip with my friend ended rather awkwardly when we asked for our change back to split the tip. The waitress got overly offended. She assumed that we had given her a 45% tip for breakfast?!? Liquor – In USA the drinking age is 21 In saying that it still seems impossible to find a store that sells spirits/liqour. Most stores sell beer and wine but if you want vodka or some Gin you’ve got to head to a liquour store. I found few and far between in the City. However, prices are reasonable. Literally, if you want something, somewhere in New York will do it. Pizza, Chinese, American, Thai, Mexican.. you name it. I couldnt possibly right about all of the places I ate so here’s a few that TIME OUT NYC recommends. Subway– Confusing. I am no stranger to such systems, I’ve been on many all over the world. The New York subway is by far the worst. Signs don’t lead you to the right place and it seems incredibly easy just to get on the wrong train. Still I was there for 8 days and went on it about 5 times. Like any underground system it probably just needs getting used to. Taxi- Pretty reliable and easy to flag down. Prices aren’t too bad even when your’e stuck in traffic.. which is often.